Boston Town will kick off their United Counties League Premier Division campaign with a mouthwatering home tie against Holbeach United. The derby rivals will meet one another at the DWB Stadium on Tuesday, Augut 8 - pitting Poachers Ollie Pinner and Aaron Eyett against their former club. The club’s website has also announced that Town’s regular midweek day will switch back to Tuesdays. Last year the club experimented with Wednesday evening matches. 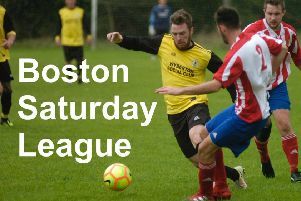 Boston’s first home match on a Saturday will be against Newport Pagnell on August 12, making it three straight home games to start the campaign. Sleaford Town will again provide the festive opposition, with the two sides meeting at Eslaforde Park on Boxing Day and the DWB on January 2. Another early derby date for fans’ diaries will be a home match against Deeping Rangers on August 29. The Poachers also host league newcomers St Andrew’s on November 25.